Palatine Park District presents the annual Canine Carnival on Thursday, July 26 from 6:30pm to 8:00pm at Fred P. Hall Amphitheater, 256 E. Palatine Road, in Palatine. 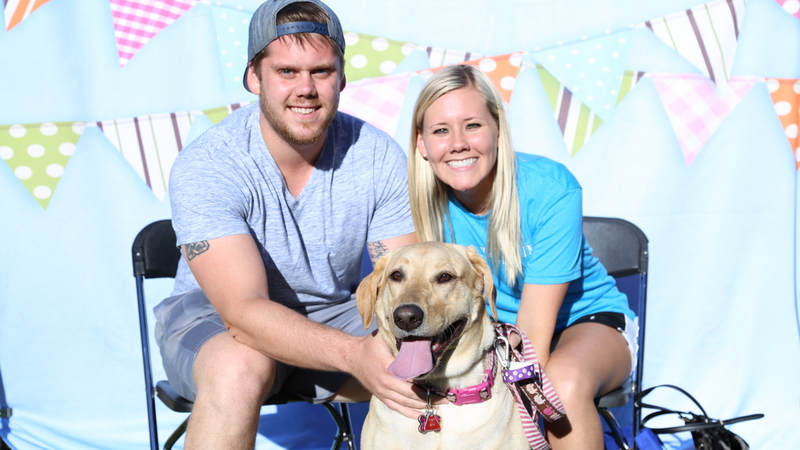 This special event is a carnival designed just for dogs and their owners and is made possible by presenting sponsor, A Closer Bond Dog Community Center. Enjoy a carnival designed for your best friend of the canine variety! This year’s event will feature free goody bags, games, complimentary raffles, souvenir photos of pets and their owners, and much more. In addition to these Palatine Park District sponsored activities, a variety of vendors will be on-site to share canine information and their love of dogs. This year’s gold level event sponsors include, ABC Plumbing, Heating, Cooling & Electric, Bentley’s Pet Stuff, Berkshire Hathaway Home Services–Sue Gould, Daily Herald Media Group, Golf Rose Animal Hospital, Loving Care Animal Hospital, Mint Dentistry, Tailchasers Pet Heroes, and Zeigler Chrysler, Dodge, Jeep, Ram of Schaumburg. Silver Sponsors include Arlington International Race Course, Chiro One Wellness Centers, Kriser’s Natural Pet, and Window Works. Each dog in attendance will receive a goody bag, a free raffle ticket, and a souvenir photo with their owner. Prizes for the raffle have been donated by event sponsors. Each registered dog can be accompanied by up to two people. All dogs are required to be leashed and accompanied by a handler age 16 or over, and all dogs must be wearing a current rabies tag to participate. Dogs without current rabies tag will not be allowed to enter. Registration is $10.00 per dog with up to two people and can be completed in advance through July 25 at 7:00pm. Registration will also be taken at the door for the same fee. Additional people, or those without dogs, will need to register for $1 each. Pre-registration is preferred and is available online using program number 3400030-01 and those without dogs using program number 340030-02. Registration can also be completed in person at Birchwood Recreation Center, Community Center, or Falcon Park Recreation Center.